Rama Rao addressed BJP and Congress leaders from Vemulawada Assembly segment, who joined in TRS in Hyderabad on Saturday. 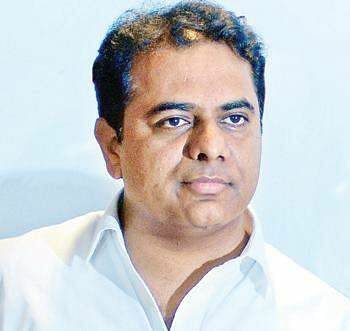 HYDERABAD: It and Industries Minister KT Rama Rao on Saturday said that the forthcoming Assembly elections were like a referendum on the performance of the TRS government’s four and a half year rule. “The ensuing elections are considered as a referendum on our performance,” Rama Rao declared and dared Congress part to take up the challenge. 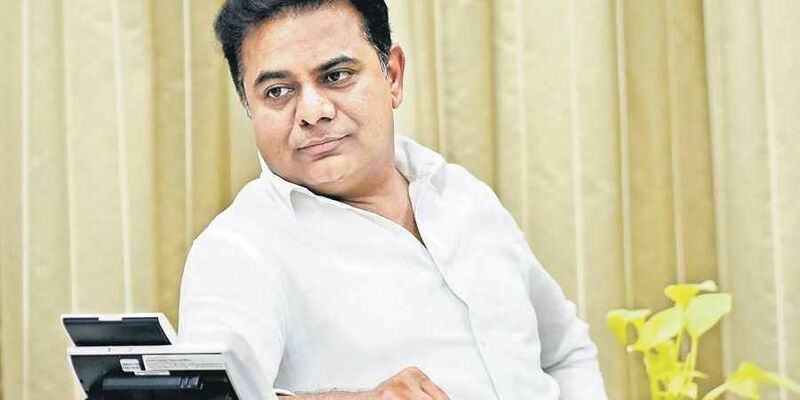 “If the Congress leaders think that they performed well as leaders of the Opposition, they too should consider the elections as referendum,” Rama Rao said. Rama Rao addressed BJP and Congress leaders from Vemulawada Assembly segment, who joined in TRS in Hyderabad on Saturday. Rama Rao said the main Opposition Congress was scared of facing elections. The popularity of TRS had been increasing in the last four years and the Congress could not digest that. Rama Rao said that the people would teach a fitting lesson to the Congress in the elections, which filed several cases in the courts obstructing the development works. The people of the State were fully aware of the development and welfare activities taken up by the TRS government, he said. He exuded confidence that the people would support TRS for continuing the development of the State. Karimnagar BJP Lok Sabha convenor Y Srinivas Rao, Congress senior leaders Sridhar Rao, Rajanna Sircilla BJYM secretary Shusank and others joined TRS in the presence of Rama Rao on Saturday.Rama Rao also said that the people would reject BJP, which rendered injustice to Telangana in many ways in the last four years. The IT Minister alleged that BJP president Amit Shah was telling lies whenever the latter visited Telangana. “We are not scared of any leader in Delhi. Our bosses are Telangana people,” Rama Rao said added that people would never accept BJP, which is playing politics on religious lines. Rama Rao recalled that Chief Minister K Chandrasekhar Rao while following the Dharma he believed, also treating all the religions equally. Rama Rao assured that in the next five years, Vemulawada would be developed into a wonderful temple city. The proposed outer ring road, bus terminal and other tourism activities would improve employment potentiality in Vemulawada, he added. Rama Rao said that Chennamaneni Ramesh would be re-elected from Vemulawada Assembly on TRS ticket. KT Rama Rao assured that in the next five years, Vemulawada would be developed into a wonderful temple city. The proposed outer ring road, bus terminal and other tourism activities would improve employment potentiality in Vemulawada, he added. Chennamaneni Ramesh would be re-elected from Vemulawada Assembly on TRS ticket, KT Rama Rao said.